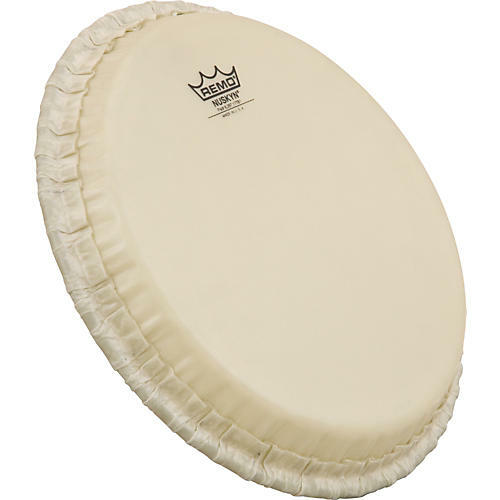 Open Box Remo Medium NuSkyn Conga Head 12.5 in. Exhibiting a much warmer, full-bodied sound with enhanced midrange and low frequencies, this head also gets rid of lingering high-pitched overtones. NuSkyn Conga heads feature Vintage Wrap technology, a process in which the film is wrapped around a steel insert ring. This assures superior performance and durability throughout the life of the head.